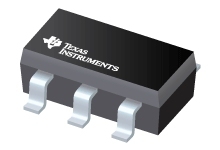 The TLV703 series of low-dropout (LDO) linear regulators are low quiescent currentdevices with excellent line and load transient performance. These LDOs are designed forpower-sensitive applications. A precision band-gap and error amplifier provides overall 2%accuracy. Low output noise, very high power-supply rejection ratio (PSRR), and low-dropout voltagemake this series of devices ideal for a wide selection of battery-operated handheld equipment. Alldevice versions have thermal shutdown and current limit for safety. Furthermore, these devices are stable with an effective output capacitance of only 0.1µF. This feature enables the use of cost-effective capacitors that have higher bias voltages andtemperature derating. The devices regulate to specified accuracy with no output load. The TLV703 series of LDO linear regulators are available in a 5-pin SOT-23package.